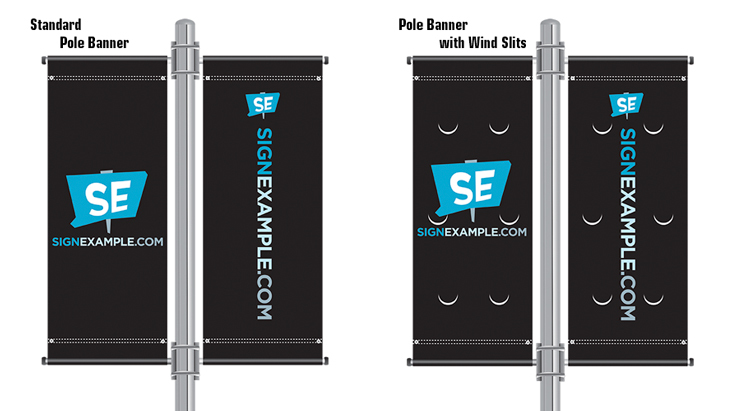 Outdoor Pole Banners will meet your many advertising needs with images on both sides of the banners. Do you want wind slits? 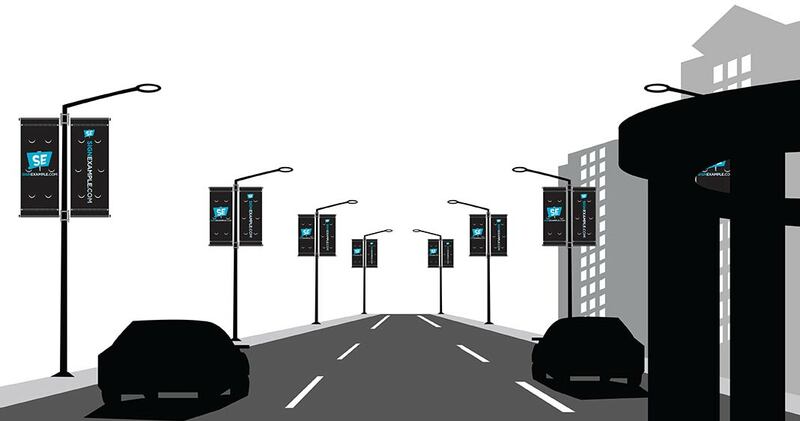 Does your city have any requirements? Do you need the bracket kits?